First details on Sol Trigger, Imageepoch’s new PSP RPG, have leaked out of this week’s Dengeki, courtesy of a [email protected] summary. As previously leaked, the game features scenario work from Kazushige Nojima, known for his scenario writing of the Final Fantasy series, and character design from Shuji Sogabe, known for his illustrations in the manga adaptions of Persona 3 and Persona 4. The “Sol” in the game’s title is a power possessed by the people of light. The game uses it as a resource for defensive and offensive purposes. Sol can revive a character if its hit points reach zero. However, if your character dies and has no Sol left to recover, he cannot be revived unless you return to your base to restore your Sol. Sol can also be used to enhance a characters skills in battle. Skills grow stronger as you use them. A special – but suicide – attack consumes all Sol and kills the user, but deals great damage to the enemy. Similar to the Tales series, you’ll learn new skills as you use weapons in battle. Farrell (CV: Kosuke Toriumi): a young man with slightly long hair, he is looked at as the next leader of the Sol Triggers, a group that fights for the people of light, due to his possesion of the “Golden Sol.” He uses a sword in battle. Emma (CV: Kana Hanazawa): a pink-haired 17-year-old girl and childhood friend of Farrell. She uses a gun in battle, but can also perform healing abilities. Walter (CV: Tomozaku Sugita): his best friend was killed by the church. He now seeks revenge. He uses a scythe in battle. Sol Trigger will launch on PSP in Japan this summer for 6,279 yen. 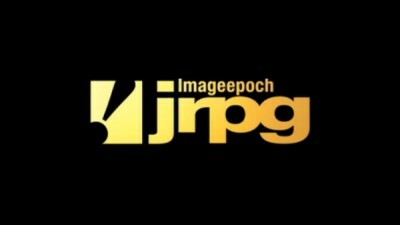 By the sound of it, it’s Imageepoch’s last PSP title, as the company describes it as their home stretch for the handheld, and has assembled their largest development team yet to complete it.